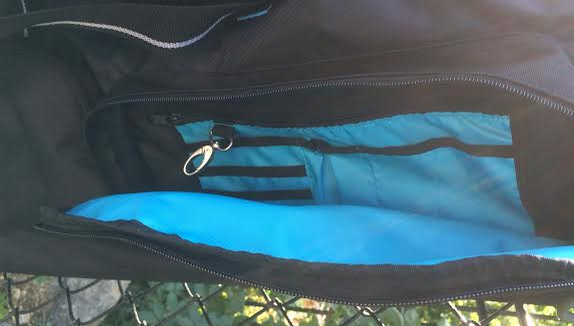 Mizuno MP ELITE Wheel Bag Review: A Pocket for everything, seriously. Mizuno makes everything and they tend to make everything well. It is no surprise, then, they happen to make a pretty impressive wheeled bag. As travel ball becomes more and more popular, parents look for a convenient one solution bag to carry baseball gear. 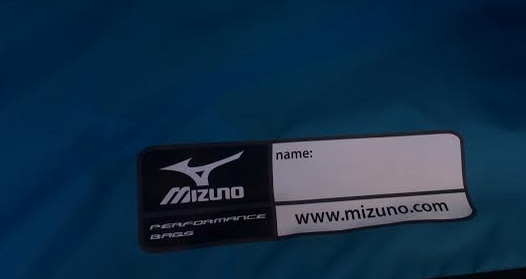 Mizuno’s solution to this is the MP ELITE wheel bag. This bag has a pocket or compartment for everything. Unlike many other bags, the water proof footwear compartment is toward the top of the bag. Great access makes shoe placement and replacement easy, so if that is a feature you value, the MP Elite is a great option. There are also J Hooks to conveniently hang the bag on a fence, keeping the bag and your dugout cleaner. 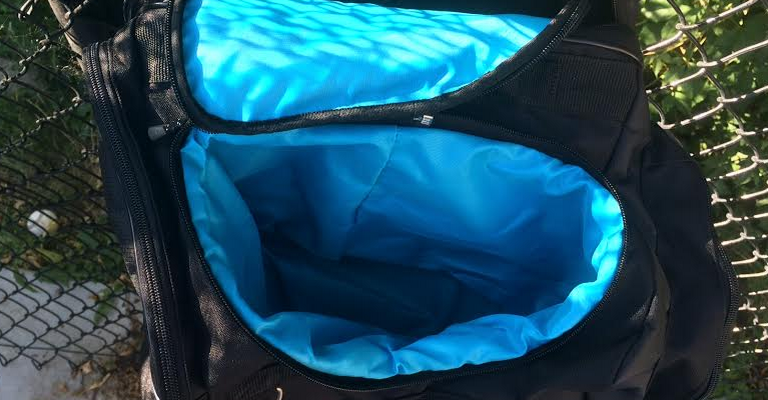 There are a few accessory compartments on the outside of the bag: places for phones, wallets, credit cards, plane tickets, and a host of other items your player just might be carrying. Another helpful feature is a zip off panel that can be removed to make embroidery easier for teams or individuals who want their bags personalized. If you’re not going the embroidery route, claim your bag on the tag provided. The wheels also seem very durable. We have yet to put these to a year’s worth of testing, but at first glance and feel we think they are as good as we’ve seen. Good wheels are a must when carrying this size bag filled with gear. As far as gear space, the bag holds up to five different baseball bats which is the largest compartment we’ve yet to see. A few more bats and you may need to hire a caddy for your hitter. The bag comes with an easy mesh divider in the major section of the bag. This divider can unbutton and lay down, creating an open space that may be as large as any wheeled bag we have yet to see. The Mizuno MP ELITE Wheel Bag is a high end bag with tons of space for any occasion. It is not a position specific bag, but I am sure it could hold catcher’s gear. In fact, it could hold 2 adult sizes of catcher’s gear. The divider in the center section is well thought out. The waterproof side piece is also a useful feature. If we could change anything about the bag we’d like to see a vented shoe compartment – it is our unfortunate experience that little leaguers’ cleats need some breathing room. Also, as much as we like insulated drink space, it would be handy to have an external place to slide an extra water bottle or two. But despite those minor criticisms, we think the bag is highly recommendable for someone looking for a great wheeled bag with tons of space. Probaby even enough room for a trophy or two.